Stuart Blinds Manly is your local Northern Beaches LUXAFLEX® Window Fashions Gallery, we offer a unique interior design shopping experience, finding a solution for all of your light, privacy, environment, comfort and design requirements. Luxaflex is the worldwide market leader in window fashions and Stuart Blinds, Manly has been selling Luxaflex Window Fashions for over 60 years. The family business was started over 80 years ago and is the oldest blinds manufacturer and retailer in its original location in Australia. 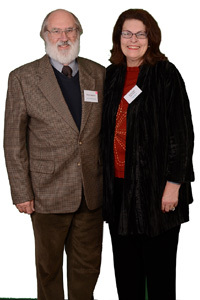 Current owners Allan and Annabel Garrett have over 25 years’ experience collectively, many more if you count Annabel’s childhood spent inside the family business and their customer’s homes – an experience she loved growing up. Allan and Annabel, owners of Stuart Blinds commented, “We’ve been in business together for 20 years now and have been part of the industry our whole lives – we clearly love what we do. "We’re very proud to be able to continue on the business which was originally started by Annabel’s father. We recently expanded our business, by upgrading our showroom with a new retro look and adding more samples to our already impressive showroom. Stuart Blinds, Manly is a well-recognised business, having won 5 awards including the five star Dealer of the year award twice plus the award for retail sales for aluminum venetians. Visit Stuart Blinds in Manly ‘s Northern Beaches and meet with one of their specialist consultants. Stuart Blinds has full size products on display, including motorised window coverings for the ultimate in home automation. You can also view the entire colour range and comprehensive sample collection. With this outstanding selection of window fashions comes a depth of experience in interior design which is unmatched by competitors.